Both direct thermal labels and thermal transfer labels are products of the two thermal printing methods; direct thermal and thermal transfer. Both methods use a thermal printhead that applies heat to the surface being marked. However, thermal transfer printing uses a ribbon and direct thermal printing does not. Direct thermal printing utilizes a heat-sensitive label material, as the heat from the print head elements creates the printed image by causing a color change. For these labels, there is no ink, toner or transfer ribbon involved. The heat catalyst causes a color change, creating the image. Since this method of printing does not use the ribbon, it is an easier format and results in a lower cost per label. However, this does reduce the label’s durability. They are typically more sensitive to heat, light, and abrasion, limiting their recommended usage. Direct thermal labels are usually utilized for indoor purposes. Examples of applications for this type of label are receipts, name tags, shipping labels and event tickets. Thermal transfer printing uses a heated ribbon to print on a wide variety of materials. 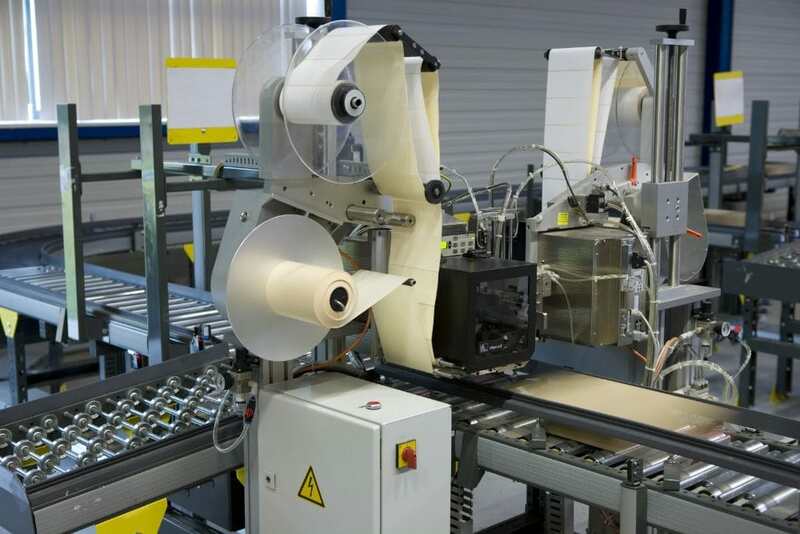 This technology uses roll-form labels and less heat to transfer a printed image than other methods, allowing for the widest variety of materials and most extensive choice of adhesives to fit special labeling applications. Thermal transfer labels usually offer greater durability than direct thermal labels, as well as sheet-style inkjet or laser labels. As opposed to the direct thermal labels, these labels are durable enough to be used in outdoor applications. Also, in the case of a well-suited ribbon and label, the print bond is so strong that protective film laminates are not usually needed. Examples of applications for this type of label are lab specimens, product ID, record keeping, computer zebra, cold storage and circuit board manufacture. When on-demand print labels are required, direct thermal and thermal transfer labels are easy-to-use solutions, as well as affordable options. They can be die cut to a large variety of sizes and quantities, utilizing a wide range of blank roll labels designed for all makes and models of printers, or a custom label can be efficiently created to precise specifications.